Parents, you know that feeling you get when you find the perfect gift for your one year old? A gift you think they will love and instantly start playing with and learn so much from? You watch them rip it open, toss it aside, and start playing with the wrapping paper. It’s cute to watch, but you’re heart sinks for a bit. You think they don’t appreciate the gift, or really care who it came from, they just want the wrapping. I wonder if that’s how God feels right now? I have been enthralled for some years now with Apple and Steve Jobs. I waited anxiously to see what amazing device or feature they would come up with next. I held my breath for the “one more thing” when Jobs was on stage. You couldn’t help but be amazed by his ability to create for the future instead of the present. I actually cared what he had to say about technology and design. He was a celebrity because of his mind, not for the sake of being a celebrity, so I never cared about him personally. Until now. You see, in a world driven by fame and fortune, it’s rare to see someone gain so much attention for actually using his mind. With other celebrities you eat up who they are. People want to know what their personal lives where like, what it’s like to be them. Not with Steve Jobs. You just wanted to know what amazing thing he was going to come up with next. When it was announced that he had passed I realized that I had never even once wondered about him as a person. Sure, I’d read articles of how Jobs had done business, and the perfectionist that he was. 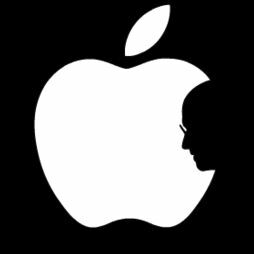 I’d also heard about his dedication to apple, but nothing about him personally. Did you know Jobs had been married for 20 years? Did you know he had 4 children? Nope, neither did I. Did you know he was a practicing buddhist? Now, my jaw didn’t drop when I heard that, but it did take me aback because I had never thought about it before. “What did Jobs believe,” never crossed my mind. I don’t know what happened at his death-bed. Jobs could very well have had a vision of Christ right before his death and became a believer. Who knows? What’s striking is how much God used the gifts He gave, to someone who didn’t believe in Him, to further the kingdom. Thousands of churches use apple products every day. From creating cool videos, to sermon podcasts, Jobs’s creations are at the front lines of what we do. Just looking at the youversion bible app usage alone is amazing. Not since the invention of the printing press has the Word been made so much more available. It’s truly remarkable. A lot of times, as believers, we see a celebrity and think to our selves,”If only he was a believer, the things he could do to bring people to Jesus.” The thing that gets me is I never thought that about Jobs. Should I have? Would he have been so influential in technology if he had been a believer? The saddest thing isn’t that the world lost a brilliant man, it’s that the world was all he knew. Jobs was just playing with the paper.